Camden County, North Carolina is nestled in northeastern North Carolina adjacent to the Hampton Roads, Virginia metropolitan area (Norfolk, Virginia Beach) and the beaches of North Carolina's Outer Banks (Nags Head, Hatteras, Corolla). 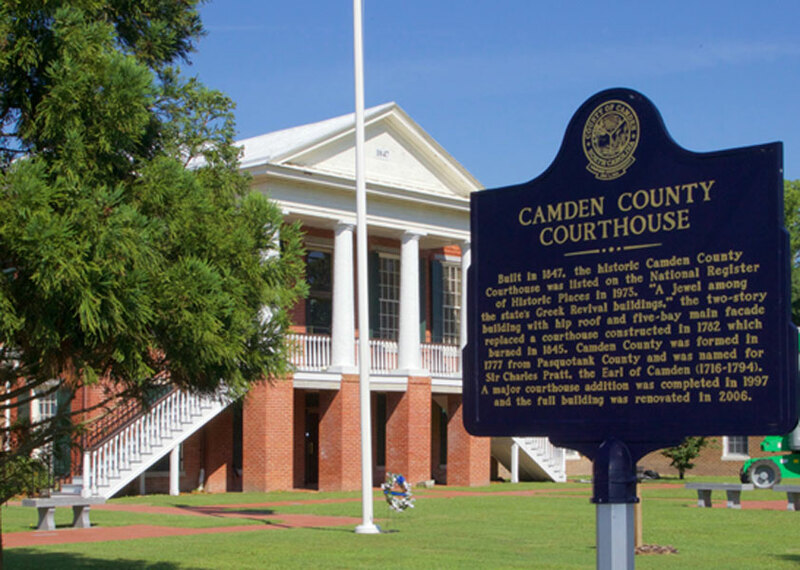 Camden County is a great place to live, work and play with miles of waterfront along the Pasquotank River, the North River, and the Albemarle Sound. With large farms and wild swamps, Camden County offers a paradise for both the hunter and fisherman along with the birder and animal photographer. Known for excellent schools and strong community spirit, Camden County is ... Where Families Thrive! Residents can now sign up to receive emergency notifications from the Pasquotank-Camden Emergency Management Agency. Receive notifications via text, cell phone, and email.